Are you determined to make a true difference for someone who really needs it? Are you patient, understanding, and open-minded? Do you believe that, with enough positive guidance, anyone can change?  If so, you might be the perfect candidate for Buffalo State College’s Social Work program. Read on to learn if social work is right for you. Social workers assist those who are most in need in our society — troubled teenagers, neglected children, isolated elderly people, and all who struggle with poverty, homelessness, or addiction. Some social workers assist patients during hospital stays; others serve as counselors in high schools or colleges; and many work with disadvantaged families to help with their child-rearing, housing, or employment needs. Some have private practices, just like physicians or psychologists do, to advise patients who are experiencing personal problems. Social work is a notoriously tough field. However, it also can be tremendously rewarding. Those who pursue social work often describe feeling a “calling” to help others — a deep need to create positive good in the world. And there is a growing need for these professionals. The U.S. Bureau of Labor Statistics has predicted that the social work field will grow 25 percent faster than the average for all occupations through 2020. Cassandra St. Vil, ’05, entered Buffalo State through its Educational Opportunity Program. What makes Buffalo State’s social work program so special? Our program has been accredited by the Council on Social Work Education since 1975, and is unique in that it combines relevant academic preparation with hands-on practical experience. Plenty of friends: Our Social Work Department is the largest undergraduate social work program in the SUNY system. Annually, about 300 students are enrolled in the program. Excellent faculty: Our faculty have expertise in such areas as interpersonal violence, children and family dynamics, perinatal mood and anxiety disorders, and addiction. A unique minor option: The Social Welfare minor examines the historical socio-cultural significance of citizenship, poverty, social welfare, diversity, and market economies, and helps students develop skills to solve local and global problems. Student Social Work Organization: This campus organization enables students to meet one another, give back to the community through volunteer projects, and gain learning experiences outside the classroom. Kappa Omega Chapter of the Phi Alpha Honor Society: Phi Alpha is a national social work honor society for undergraduate majors, faculty members, and local practitioners. National Association of Social Workers: Members attend networking events and receive discounts to publications such as NASW News, Social Work, and NASW JobLink. E-mentoring: Provides students with a network of working professionals who can help them explore educational, career, and graduate school goals. Students can do undergraduate research with a faculty adviser, typically in conjunction with the annual Student Research and Creativity program. Students also have conducted research abroad in countries such as Nicaragua and Trinidad. Learn more about additional career options for social work graduates here (PDF, 13KB).